The oldest known stars, dating from before the Milky Way Galaxy formed, when the Universe was just 300 million years old were found near the center of the Milky Way, surprisingly pure but containing material from an even earlier star, which died in an enormous explosion called hypernova. "These pristine stars are among the oldest surviving stars in the Universe, and certainly the oldest stars we have ever seen," said Louise Howes from The Australian National University (ANU), lead author of the study published in the latest issue of Nature. "These stars formed before the Milky Way, and the galaxy formed around them." Following the team's discovery in 2014 of an extremely old star on the edge of the Milky Way, the team focused on the dense central parts of the galaxy, where stars formed even earlier. The team sifted through about five million stars observed with SkyMapper to select the most pure and therefore oldest specimens, which were then studied in more detail using the Anglo-Australian Telescope near Coonabarabran in New South Wales and the Magellan telescope in Chile to reveal their chemical make-up. The team also demonstrated that the stars spend their entire lives near the Milky Way center and are not just passing through, a further indication that the stars really are the oldest known stars in the Universe. The discovery and analysis of the nine pure stars challenges current theories about the environment of the early Universe from which these stars formed. 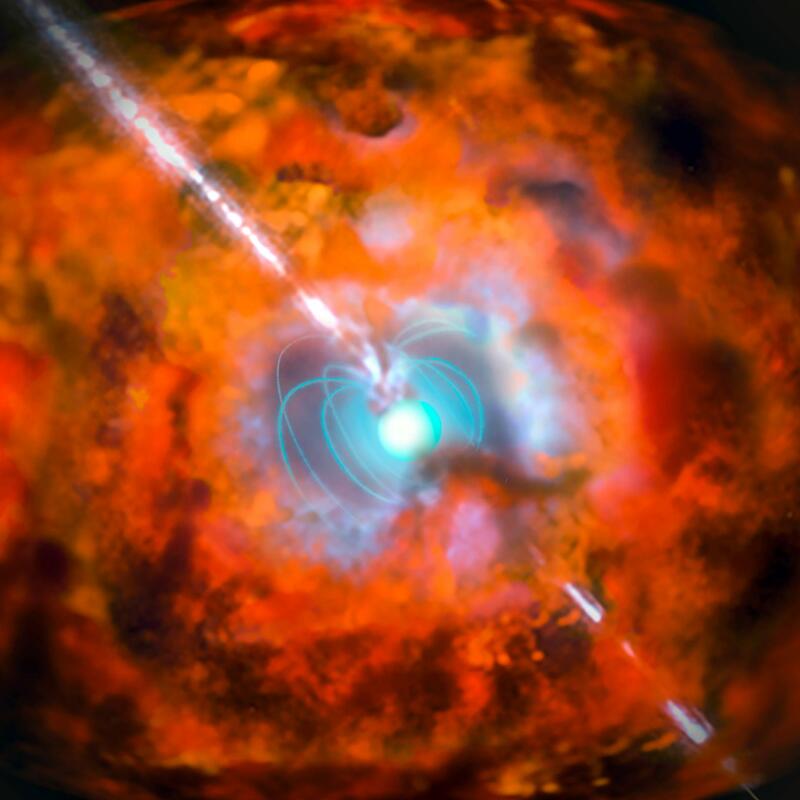 "The stars have surprisingly low levels of carbon, iron and other heavy elements, which suggests the first stars might not have exploded as normal supernovae," said Ms Howes. "Perhaps they ended their lives as hypernovae – poorly understood explosions of probably rapidly rotating stars producing 10 times as much energy as normal supernovae." Illustrated in the ESO image above. "The ANU SkyMapper telescope has a unique ability to detect the distinct colours of anaemic stars – stars with little iron – which has been vital for this search," said Professor Asplund.